A Blue-headed Quail-Dove in Cuba. by Glenn Bartley via Birdshare. Chino de Zapata parks his Chinese rental car in front of a small house at the end of a narrow dirt lane and honks once to announce our arrival. But this isn’t China; it’s that other communist nation just 90 miles south of Florida. I grab my binoculars and camera and follow him to the backyard. Bernabe is feeding three squealing pigs in a small sty as his wife Juana pounds pork cutlets on an outdoor sink. Before and after, I think. “Chino!” she says. “Bienvenido!” Welcome. After the obligatory hugs and handshakes, Chino points to a small tree with a rounded canopy covered with clusters of red, trumpet-shaped flowers. “This is the best place in Cuba to see Bee Hummingbirds,” he says. The first one I’ve seen in my life stares back unconcerned from its perch three feet away. For the next hour and a half, these twoand-a-half-inch-long hummers buzz from flower to flower like, well, bees. The male’s iridescent blue back and fiery rosy throat and gorget sparkle against the scarlet flowers and green leaves like flashing lights on a Christmas tree. The smallest bird in the world lives on the largest island in the Caribbean. Since I landed in Havana, seeing the diminutive hummingbird has topped my wish list. Although the fabled Cuban Ivory-billed Woodpecker hasn’t been sighted since 1987 and the magnificent Cuban Macaw can only be seen in museum collections, bird lovers can still thrill at seeing this feathered midget zip from flower to flower. Unless, that is, you’re an American. Canadians and Europeans trek to Cuba by the millions, yet we have to get special permission from the U. S. government. From the era of my youth until just a few years ago, access was summarily denied or granted only under special circumstances. Recently relaxed travel restrictions now allow individuals and group tours to enter as part of the Peopleto-People tourism program. I joined a tour with the Association of Zoo and Aquarium Docents—my wife is a member—then extended my stay and booked Chino, one of the top birding guides on the island, through the Birding Pal website. As the largest island in the Antillean chain that stretches in an arch from the Yucatán to South America, Cuba has the secondhighest number of endemic bird species (21) after Jamaica (27). Chino picks me up in Old Havana, and we head for the Ciénaga (wetland) de Zapata. The UNESCO Biosphere Reserve on the Zapata Peninsula covers 1,552,244 acres of wetlands and humid, semideciduous forest on the southwest coast. The area was designated a Ramsar Wetland of International Importance in 1971. The most valuable core area, Ciénaga de Zapata National Park, preserves 173,658 acres of mangrove forests, keys, seagrass beds, coral reef barriers, and deep reefs. After filling my camera’s memory card with hummingbird photos and my belly with a lobster dinner at Chino’s beachside guesthouse, I relax far removed from the boisterous nightlife of Havana. Little did I know that the diminutive hummingbird would bring me to the site where an invasion force landed more than half a century ago. As I watch that evening, not even a ripple disturbs the horseshoe-shaped Bahia de las Cochinas—better known back home as the Bay of Pigs. I try to imagine what this peaceful beach was like in mid-April 1961, during the unsuccessful invasion. With a quarter moon overhead and Orion reclining on the horizon, only a few distant lights around the narrow bay interrupt the inky night. I hear no traffic noise, errant music, or party revelers—just the occasional bark of a restless dog, the whisper of waves gently lapping on the sand, and the hushed echoes of people in their little beachfront homes. After the failed invasion, the U. S. Congress put in place an embargo restricting traveling to Cuba or trading with the country, and it remains in place to this day. Five decades later, the Bay of Pigs is still a major hotspot on the 775-mile-long island, but now it’s most renowned for its rich biodiversity. With 203 species of birds, including 18 endemics, the Zapata Peninsula has the largest number of plant and animal species on the island. The morning after my garish introduction to the Bee Hummingbird, the sun turns the placid Bay of Pigs mango-gold as we head into the forest. Numerous two-track roads wind through the semideciduous woodlands. A century of continual woodcutting by carboneras, charcoal makers, has removed the emergent trees and cleared much of the sprawling undergrowth, but the forest has recovered its dense canopy of understory trees. Of the 285 bird species recorded in Cuba, 70 percent are Neotropical migrants, totaling 114 winter residents and 50 transients. A symphony of birdcalls greets us as we step into the winter homeland of so many familiar species. Within minutes, our checklist swells to more than a dozen. It’s like a spring migration fallout, only better. American Redstarts flash their wing patches, and Magnolia, Black-and-white, Prairie, Palm, Northern Parula, and Black-throated Blue warblers forage busily over our heads. Millions of North American migrants begin arriving in Cuba in August, with the numbers peaking in October. The rush back north begins in February, the month of my visit, and peaks in April. As a bonus, 14 species from South America call the island home from January to October. As thrilling as the hordes of North American breeders are, Cuba’s 21 endemic species capture my imagination. Some are can’t-miss, but glimpsing others is like winning the Powerball lottery. Even though the rapid tot-tot-tot of the Cuban Tody and the hushed barking of the Cuban Trogon, the national bird, make them easy to spot, every view of them is a thrill. Cuban Parrots screech overhead, showing off their red throats and white heads from the treetops, but we have to rap a dozen dead palm trunks with roosting cavities before a Bare-legged Owl peeks out. Three secretive quail-doves present the greatest challenge. With a little ferreting and a lot of patience, Chino’s recording attracts a Gray-fronted Quail-Dove. The pigeon-sized bird scampers surprisingly fast through the shadowy undergrowth. We glimpse its contrasting head, bobbing dove-style, but it disappears. We circle and play the tape of its soft call and finally get good views as it passes through a clear spot. The giant Stygian Owl suffered a similar fate. It likes to perch hidden in tall emergent canopy trees, but only a few survive on protected properties. At night, we spotlight the area’s two remaining ceiba (kapok) trees, once the 150-foot-tall kings of the forest, but find no owls. The Ciénaga de Zapata is best known for its vast wetlands of sawgrass with scattered hummocks of trees. This Everglades-like wilderness harbors three of the rarest and most reclusive birds endemic to the island: the Zapata Wren, Zapata Sparrow, and Zapata Rail. Chino’s older brother Angel Martínez, an expert birder who specializes in the Zapata region, takes me on a search for the rarities. He’s strangely silent when I ask him if we might see the rail, then he chuckles at the absurdity of the question. 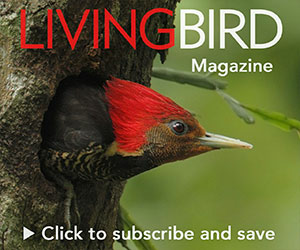 “I’ve been birding the ciénaga for 35 years and have only seen it three times,” he says. We drive for 30 minutes down a grassy two-track beside a narrow canal. Dense bushes and small trees line the banks, but Angel knows every opening that allows a view of the opposite shore. At each stop he plays the Zapata Wren tape. We see flocks of Blackcrowned Night-Herons, Common Gallinules, Purple Gallinules, and endemic Red-shouldered Blackbirds, which live only in the wetlands. Hundreds of Turkey Vultures perch in the warming sun on the road and in trees. On the third try, we hear a reply to the tape as a blur of brown flits through the brush. The wren shoots here and there and finally The Zapata Sparrow turns out to be a showoff, if you know where to find it, and Angel does. gives us a one-second clear view, but you take what you can get. The Zapata Sparrow turns out to be a showoff, if you know where to find it, and Angel does. We park and walk about 50 yards down a road hemmed in by mangroves and sawgrass. “This is the area,” Angel says, then moments later a yellowish bird with distinct eye-stripes lands in a mangrove tree. For the next 20 minutes we watch a pair foraging, unconcerned by our intrusion. They eat little fruits and forage on the ground for insects. One often begs with wing-flutters. “Maybe this will be a nesting site,” Angel says, and marks the location with a strip of blue plastic. Although the Zapata sawgrass wetlands remain mostly intact, much of Cuba’s habitat has suffered from 400 years of human exploitation. Semideciduous forest, the richest bird habitat, once covered the extensive flatlands flanking the three mountain chains that form the spine of the island. Then came Spanish and U. S. sugarcane fields, cattle, logging, urban growth, and a host of invasive exotic plants. Driving across the island, we pass vast areas of abandoned farms and pasturelands overgrown with the introduced marabú, a shrubby acacia with vicious thorns that forms impenetrable thickets. The Autopista National—a six-lane, divided expressway—heads northwest from the Zapata Peninsula for 95 miles to Havana then drops southwest about the same distance to the province of Pinar del Río, site of the Sierra del Rosario mountain range, another of the six UNESCO Biosphere Reserves on the island. During the four-hour drive, I ask Chino about his birding experiences and life in general in Cuba. Unlike his brother, who operates the birding guesthouse and has never ventured farther than Havana, Chino travels all over the island birding. “Besides guiding bird tours, I volunteer one day a week to teach ecology in three schools,” he says. I ask Chino if he has ever seen a Cuban Ivory-billed Woodpecker. Arturo Kirkconnell, a researcher at the National Museum of Natural History in Havana, reported in his definitive guide, The Birds of Cuba, that the last three expeditions in the 1990s failed to find one. Chino has never seen the rare woodpecker but has hopes that it still exists. Evidence of the Ivory-billed Woodpecker was reported in 1998 in the Sierra Maestra, the rugged range at the eastern end of the island with Cuba’s tallest peak at 6,476 feet, and there have been two recent undocumented sightings. We exit the expressway; the road narrows to two lanes and climbs through low forests into the Sierra del Rosario. Chino cruises slowly with his window down, listening intently, then abruptly pulls onto the roadside. “Get your camera ready,” he says, and we slip into the forest of low, scrubby trees. Warblers flit through the branches as we walk deeper into the woods. We pause to watch a Yellow-headed Warbler and a Cuban PygmyOwl, both endemics. As I’m clicking pictures, Chino whispers to get my attention. A Cuban Tody pops into view. Like a stage performer in an emerald cape and red scarf, the four-inch ball of feathers bobs up and down on the branch, singing its staccato call. The managed biosphere protects 103 square miles of eroded limestone ridges and peaks, tropical and semideciduous forest, and rural communities that depend on tourism and sustainable use of resources. Of the 800 species of plants in the mountains, 35 percent are endemic, as are 11 of the 100 species of birds. Cruising and stopping for short hikes works well for spotting birds and soaking in the spectacular scenery of steep ridges, deep valleys, and tiny farms. We quickly check off a cadre of endemics: Cuban Grassquits, Cuban Bullfinches, Cuban Vireos, and Cuban Blackbirds. The road narrows and for an hour, far away from the tour-bus crowds, we pass no other vehicles, just towering peaks and isolated farms of tobacco, corn, rice, bananas, and sugarcane. Eons of erosion have riddled the limestone mountains with caves. During the 1962 Cuban Missile Crisis, Che Guevara moved the headquarters of his western army into a large cave for 45 days. In Viñales Valley, now a UNESCO World Heritage Site and our destination for the night, steep haystack mountains called mogotes rise straight up from the flat, fertile plains. After a night in the colonial city of Viñales (and another lobster dinner), we slowly cruise a narrow ridge of mixed pine and palm woodlands overlooking the valley. We see Cuban Solitaires and Trogons, West Indian and Cuban Green woodpeckers, Olivecapped and Yellow-headed warblers, as well as two men shoeing a horse in the road, a man walking four pigs that he keeps together with muted whistles, and a man with two oxen pulling a flat sled made from a log. Rural Cubans have few technological accessories and maintain a strong bond with the land. Sampling the vibrant, thriving culture—in many ways so isolated from the Western World—is as exciting as seeing the birds that are unique to the island. Three million visitors a year currently visit Cuba and supply 44 percent of the island’s income. A recent PBS documentary estimated that if the United States allowed unrestricted travel to Cuba, the island would need to build 1,000 new golf courses. Judging from the resorts where our tour stayed, most of which were owned by the military, major upgrades in accommodations would also be required. Massive new development could cause a significant loss of critical coastal forest habitat and degradation of the last pristine marine reef system in the Caribbean. The question is whether the depressed economy can withstand the onslaught of tourism, mining, and oil exploration if America ends the embargo. The monthly food ration of 5 pounds of rice and 10 eggs per person, and minimal amounts of pork, chicken, rice, beans, and other commodities, just isn’t enough to survive on. A Cuban farmer earns the equivalent of $15 a month, and a state biologist or a university professor earns only $25 a month. Yet from tourism, a man in Old Havana posing with a cigar for $1 a photo can easily make $300 a month, a waiter $600 a month, and a private bird guide more than $1,000 a month. With signs that American-Cuban relations may be thawing, one can hope that the politics and pressures of the 50-year-old embargo are on the cusp of change. Whether change comes suddenly or gradually, Cuba faces critical economic choices that could have extreme consequences for the country’s natural environment. The fate of millions of North American migratory birds and the last pristine coral reef ecosystem on the planet depend on whether the Pearl of the Caribbean sets a new model for sustainable development or follows the dollars and allows exploitation by multinational investment. George Oxford Miller is a writer and photographer based in Albuquerque, New Mexico, and a frequent contributor to this magazine.